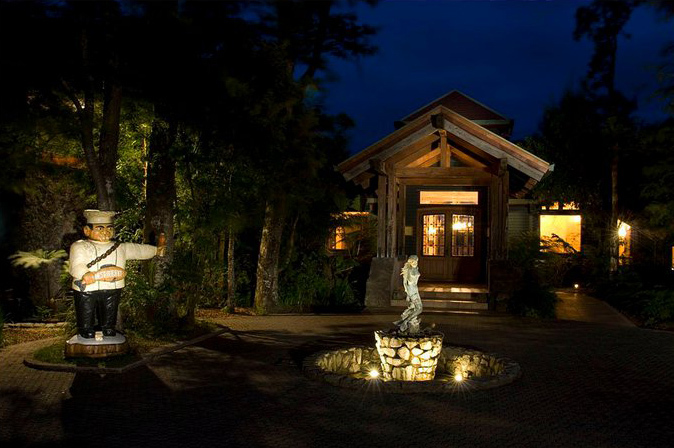 Yan Kee Way is one of the finest lodges in the world. It was built from the ground up with fishing and the good life in mind. 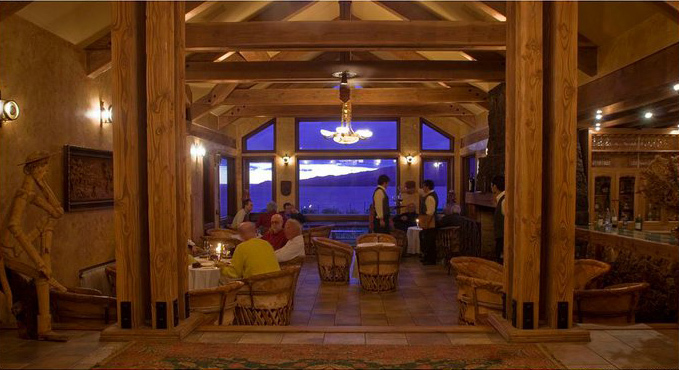 Nothing has been left out, the finest guides, the best wine list in Patagonia, an incredible fishery, it is fly fishing heaven. 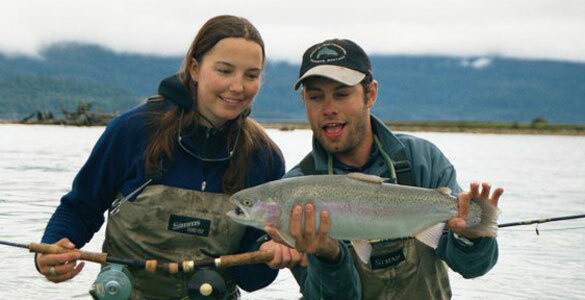 The fishing in these areas is similar to Alaska in that there is a great variety of fish. 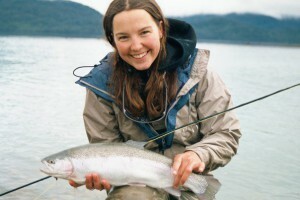 We have resident salmon in the lakes, migratory Kings, Silvers, Atlantics and Steelhead in the rivers. The large population of rainbows, browns and brook trout reside year round. Some streams are reached by horseback, boat or 4 wheel drive and then waded, some floated in catarafts while bigger rivers, lakes and estuaries are fished from small power boats. 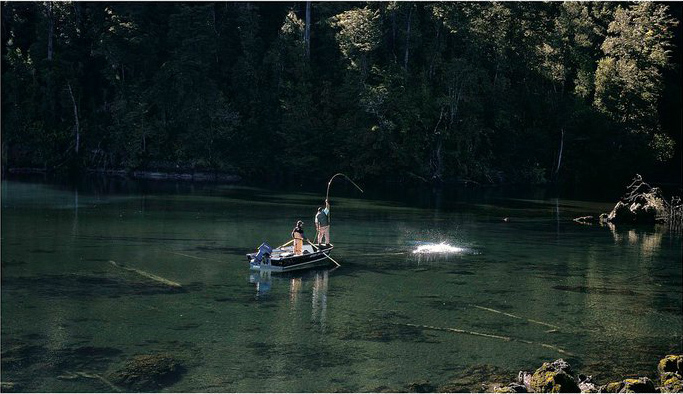 Our private waters combined with private access to remote public waters give us hundreds of miles to fish. 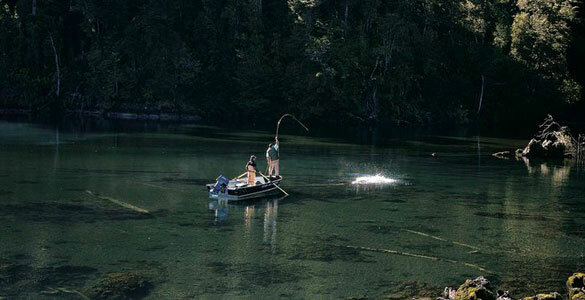 Even though the resort can handle a lot more we limit our fishing guests to 8 to preserve the integrity of the fishing. Another unique feature of Yan Kee Way is all the non fishing activities there are for the rest of your family. 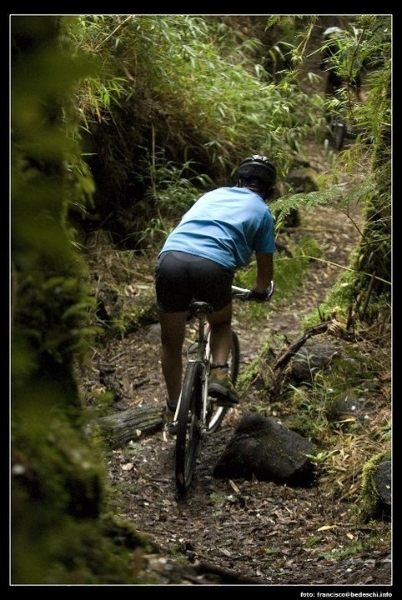 There is kayaking, mountain biking, horseback riding, climbing, zip-lining, wine tasting, just to name a few. 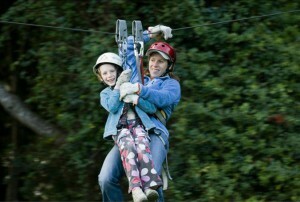 Use the tab above to learn more about the sport adventure possibilities at Yank Kee Way.. It’s not just about fishing! The fishing day starts with breakfast as early as 6 am depending on the recommendations of your guide. 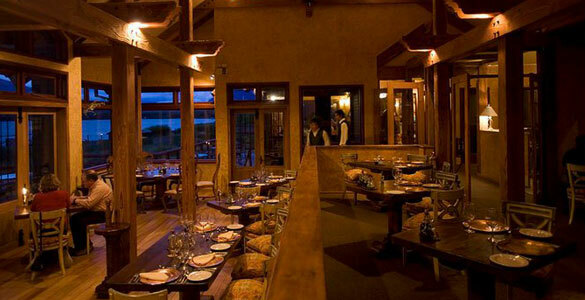 Each evening your guide will check in with you at dinner to go over the next days activities and to get your lunch order. The guides are what make the trip. 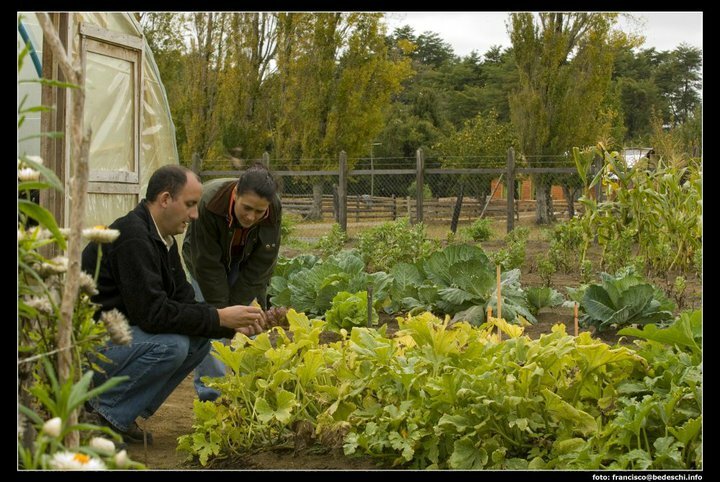 The head guide is one of Chile’s most famous guides and the staff behind him is made up of both Americans and Chileans. 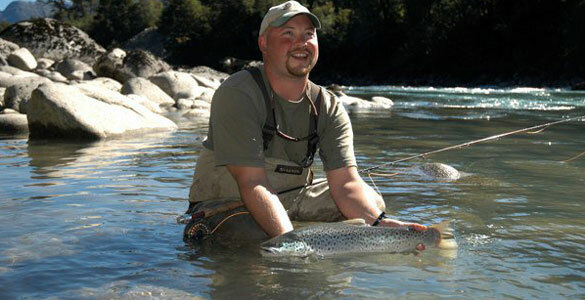 You may switch from guide to guide as some specialize in certain waters. 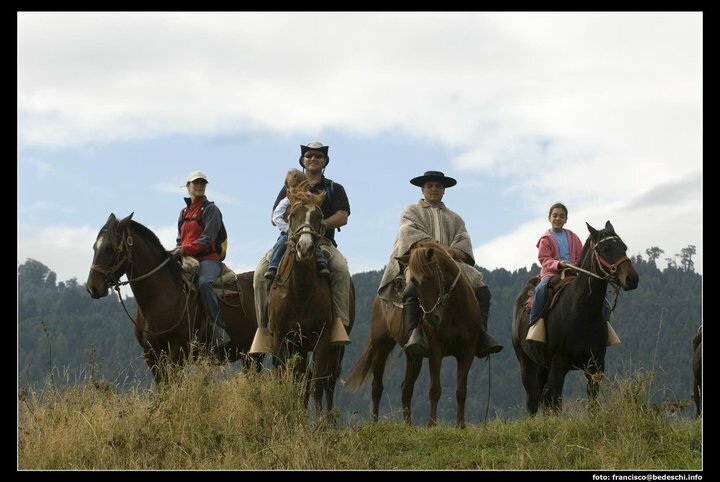 There are no finer guides in all of Chile. You always get full run of the menus at the lodges as well. At Yan Kee Way this means a very wide variety of choices. At El Patagon and Los Bandidos there is more of a planned menu but no less spectacular. 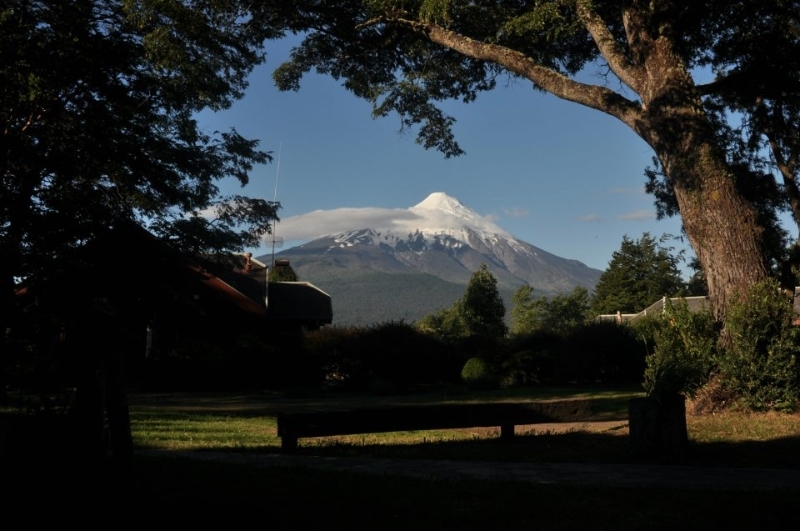 The outdoor enthusiast can enjoy a multi-day ascent of snowcapped Osorno, horseback expeditions, exciting white water rafting, mountain biking, single or multi day treks, rock climbing, photo expeditions, fishing lessons, wine tasting tours, cultural tours and even culinary tours! Some guest combine a few days of fishing with a few days of other stuff. Everyone in your family can enjoy the splendor of Patagonia from one of these fine lodges. 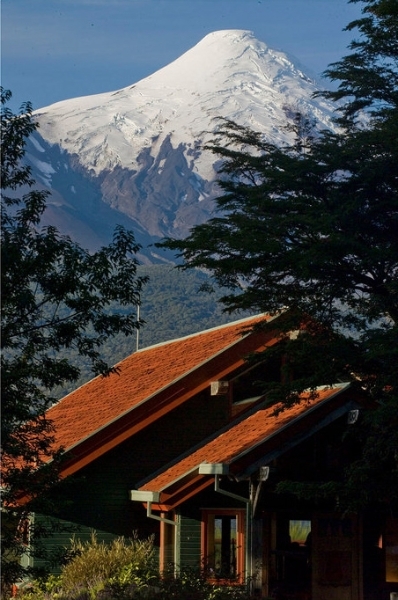 This flagship lodge, Yan Kee Way, is on the shores of Lago Llanquihue ( pronounced “yan kee way”) with spectacular views of the lake with 8,400 foot Volcano Osorno towering over the shore. 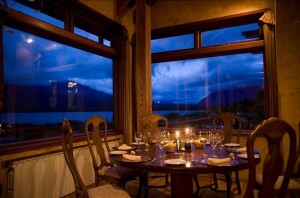 It is without a doubt one of the finest fishing lodges in the world with luxurious lodging and wonderful food. 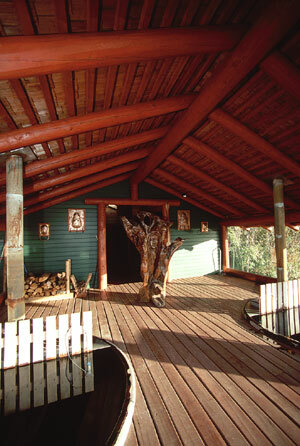 The lodging consists of modern bungalows and chalets. 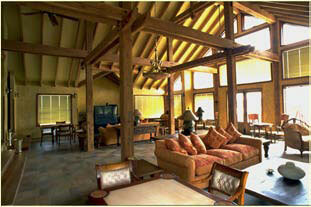 For more pictures you can find the link “Lodge Photos by scrolling down the page and clicking on the blue link. The chalets are larger 2 bedroom, 2 bath apartment with kitchen. 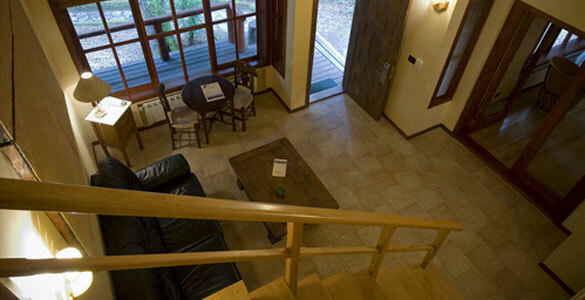 These are also equipped with the same amenities as the bungalows. 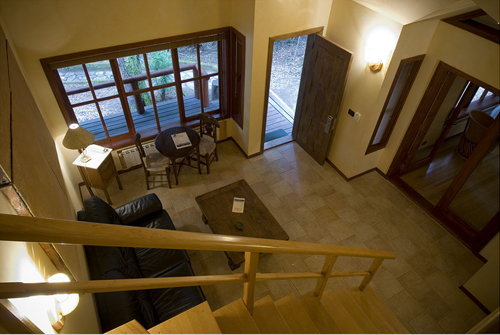 The chalets are great for families or a group of friends who want to share a common living are but keep their private bedroom and bathroom. The Latitude 42 Restaurant and bar is available to you whenever you need it. 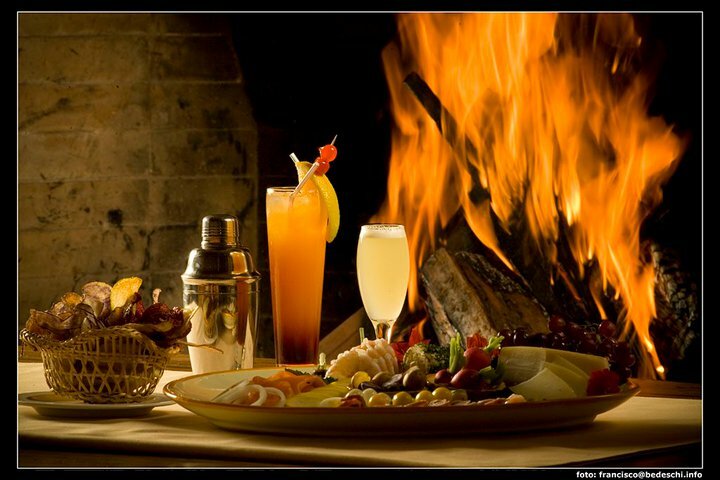 You can dine at your leisure, and order from a full menu, there is no set menu when you purchase a package, you are free to order anything from the menu (about the second day you realize you can’t keep up that level of eating for long!). 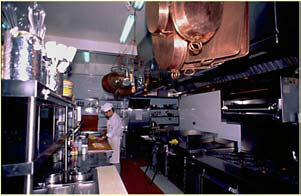 The food is prepared by an American Chef in a modern state of the art kitchen. 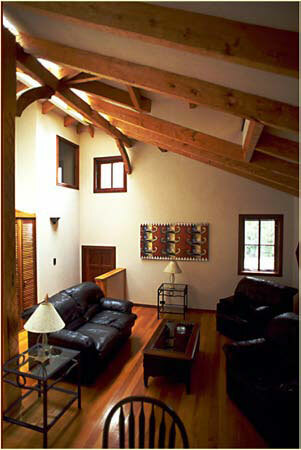 ( in fact the kitchen was designed and assembled in the US and then shipped here and reassembled at the lodge!) 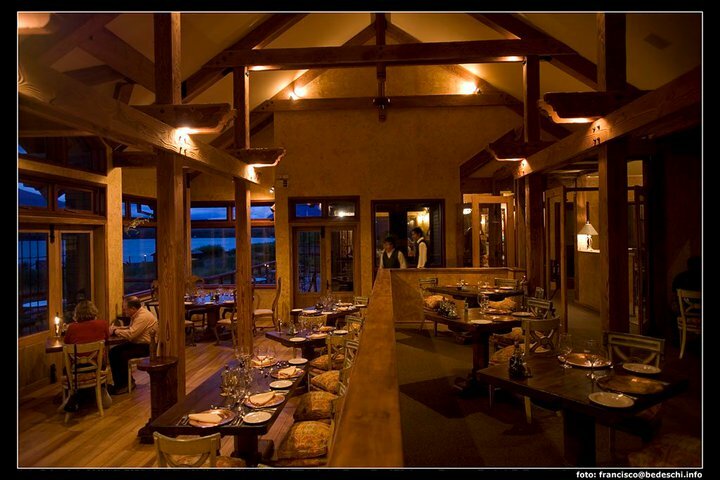 We have the largest wine list in all of Chile. 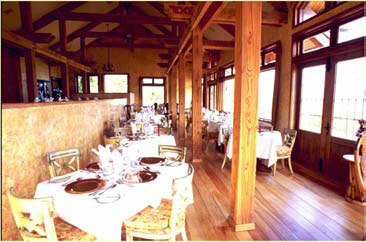 We can accommodate the taste of kids as well as the gourmet. If you are leaving early on an expedition (fishing or other) you will fill out your breakfast and lunch order the night before and it will be ready at the appointed time. Your guides will find you in the evening to make sure they get your order and fill you in on the plans for the next day whether it be fishing or some other adventure. 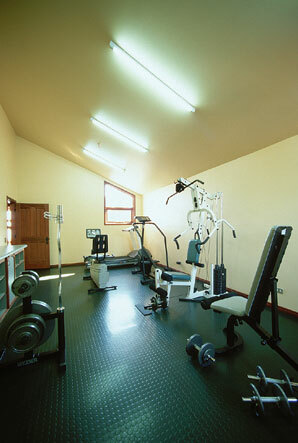 Also on site we have a nicely equipped workout room, saunas, and hot tubs with a view of the volcano. 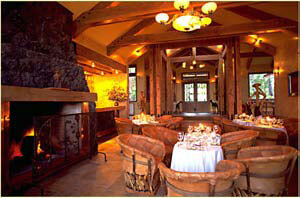 The reception lounge has email access, satellite TV and a huge volcanic rock fireplace to relax in front of. 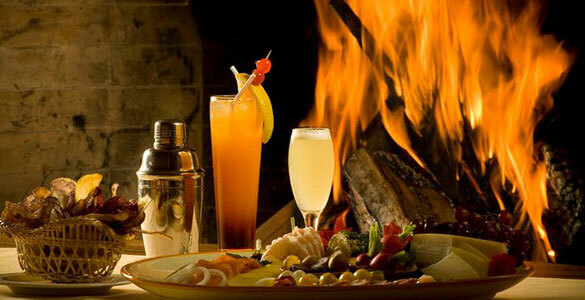 At the bar you can sit in front of a similar fireplace and try the local drink – a pisco sour! The variety of the fishing here in Patagonia is the awesome and you will never get tired of it. 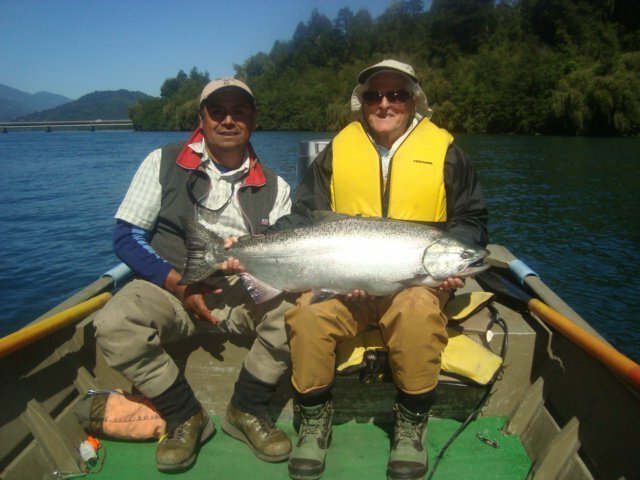 We have resident rainbows, browns and salmon with migratory fish like steelhead, sea-run browns, Chinook and Coho salmon. 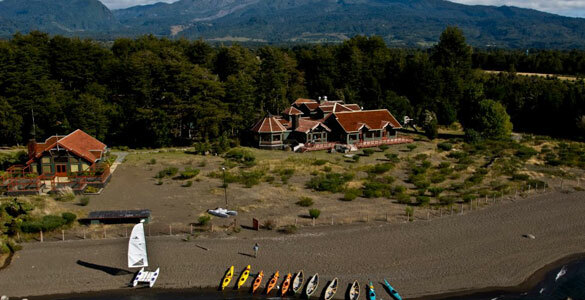 Southern Chile Expeditions owns 3,200 acres that only our guests will fish. The private reserve includes streams, spring creeks, rivers, lakes, ponds, and estuaries. We also vary the way we fish each of these waters. 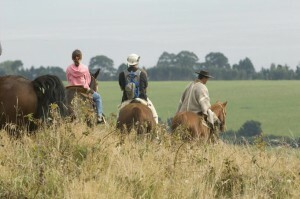 Some we approach on horseback, some by 4 wheeler, some by boat and other by raft. We augment this private water with the best of the public waters as well. 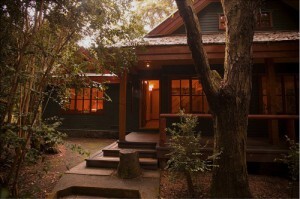 All three of the lodges are located on lakes. Quality fly-fishing rivers border two of them. 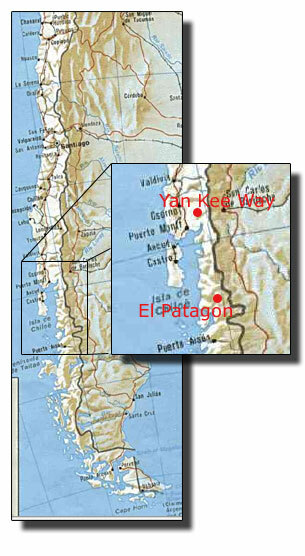 On the Chilean side, the combined lake and river systems serve to buffer rivers from Chile’s higher rainfall. 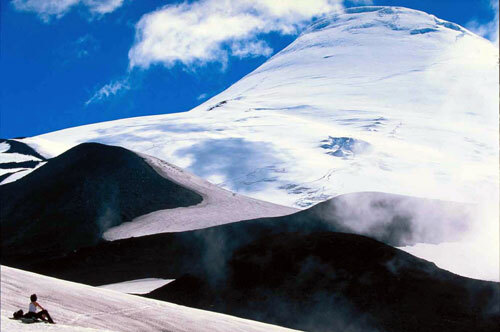 Snowpacks, which maintain stream levels on the Argentine side of the Andes, may vary year to year. Taking this into account, we are located on a large lake/ river system to assure season long fishing with plenty of water and adequate temperatures. 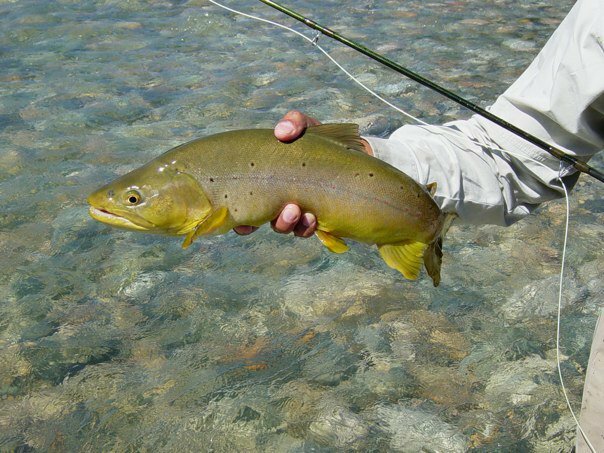 Watersheds just next door may appear to be the same but either cannot maintain the water levels or the temperature all year to support world class trout fishing. These watersheds on both sides of the border, benefit from an enhanced food chain and, thus, sustain larger fish. In the brief descriptions of your fishing grounds below, many of our choice locations around them remain unnamed for obvious reasons. Each location was selected for the quality of fishing, variety of waters within close reach and scenic beauty. Fly-fishing enthusiasts are individualists. Each has a favorite water type and fishing technique. Rest assured that our locations provide a variety of rivers, streams, spring creeks and lakes to satisfy the taste of the most discriminating angler. 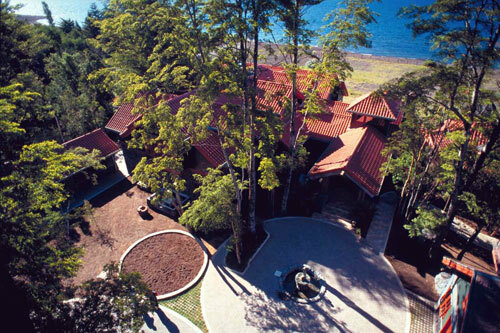 Yan Kee Way lodge is located on Lago Llanquihue (pronounced Yan Kee way), near the small town of Ensenada, Chile. 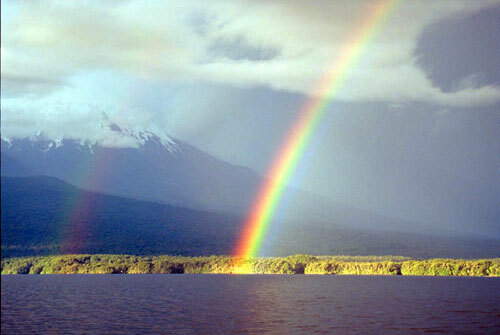 The lake has a resident population of large browns and rainbows. Resident and migratory Coho, king and Atlantic salmon make this their water as well. 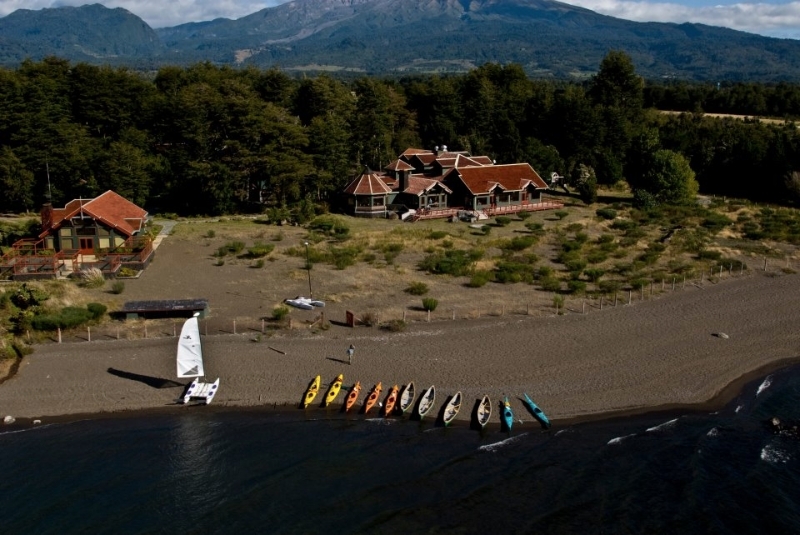 Some of the best water in Chile are just 15 minutes away. 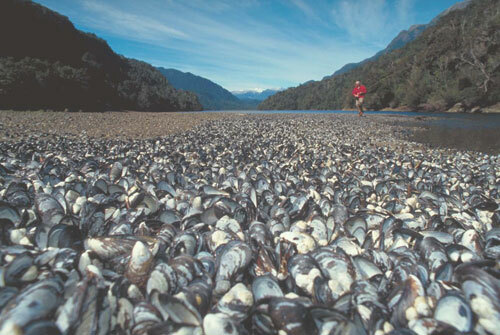 The Rio Petrohue, made famous by Roderick L. Hague-Brown in his book “Fisherman’s Winter,” is home to large, resident brown and rainbow trout, which are supplemented by sea-run browns, steelhead, sliver salmon, king salmon and Atlantic salmon. We have four different floats on this river alone. 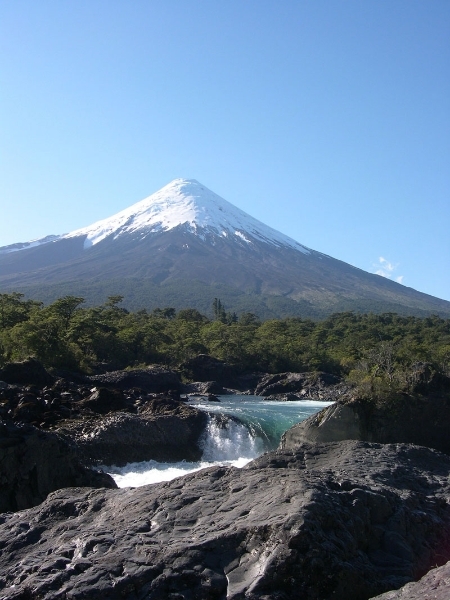 There are spring creeks and streams that run into the Petrohue for added variety. 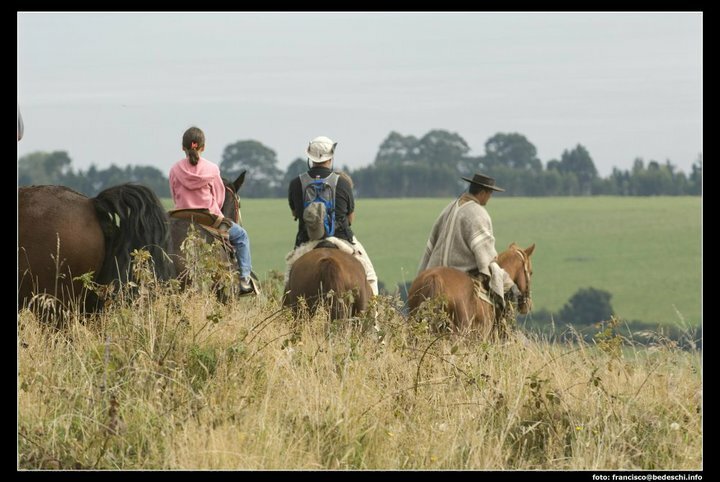 Horseback expeditions, if you’re so inclined, provide access, through native Chilean forests, to some beautiful lakes and streams off the beaten path. 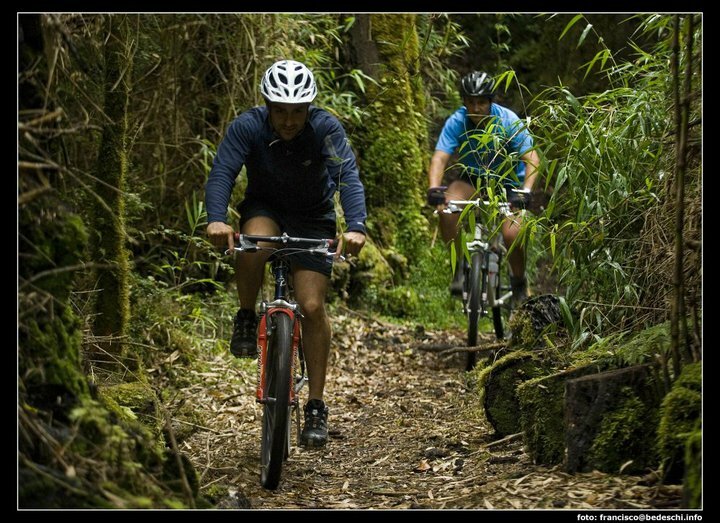 The Chilean forests will look like they are directly from the Amazon with thick vegetation and huge trees. 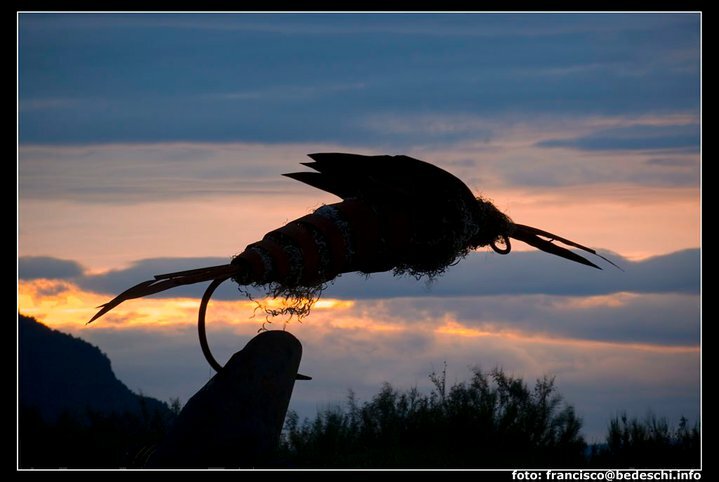 You would expect a monkey to come swinging through or brightly colored birds to be flying by until you see the majestic snow capped volcanoes reminding you you are not in a tropical setting. The fishing is of course dependent on weather and river conditions but our guides, equipped with their fleet of boats, jeeps, trucks, rafts, and horses will put you on fish when other lodges cannot. There are rivers that can yield 50 fish a day and spring creeks that may yield a fish or two a day and everything in between. 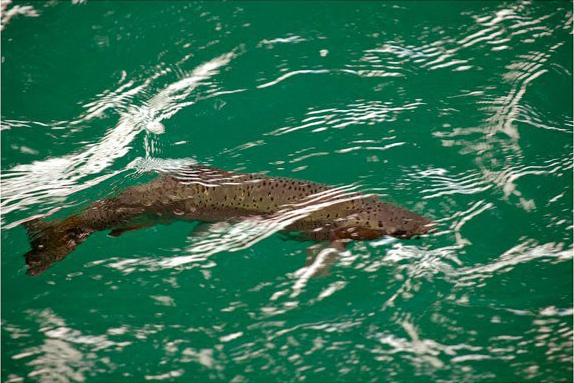 The average resident trout will be between 12-15 inches with shots at 25″ fish every day. We have caught trout up to 20 pounds here but this is not the norm. 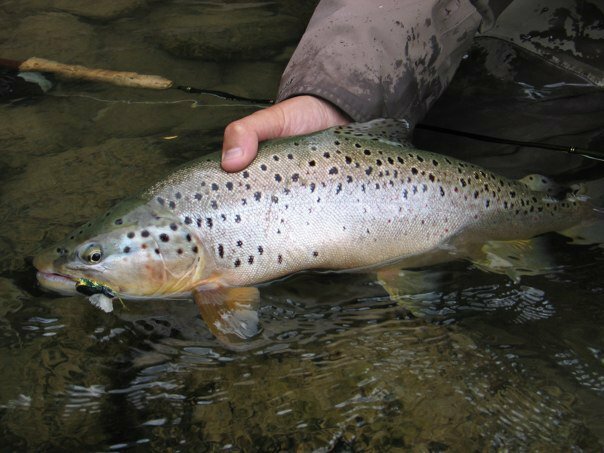 Expect good solid trout fishing and you won’t be disappointed. Expect a 10 pound fish everyday, and you will not be satisfied. There are huge fish here but as in any healthy fishery the big ones are not easy. Work hard, cast well and you will get big fish. 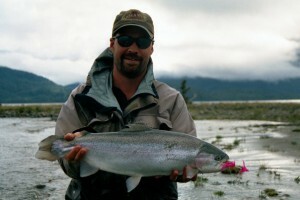 Prices are in US Dollars based on double occupancy and two anglers per guide. 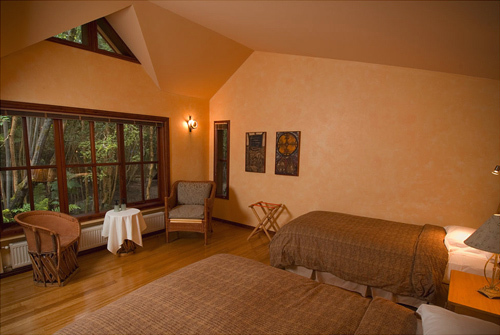 If you need a private room add $50 per night, or if only one person is fishing add the private guide fee of $300 per day to the fishing package price. 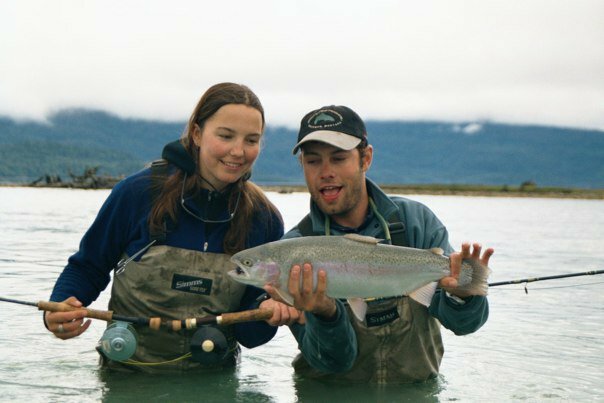 If you want to design a sport package that includes flyfishing take the sport adventure price and add $289 per day for each day you want to substitute fly fishing as and adventure. 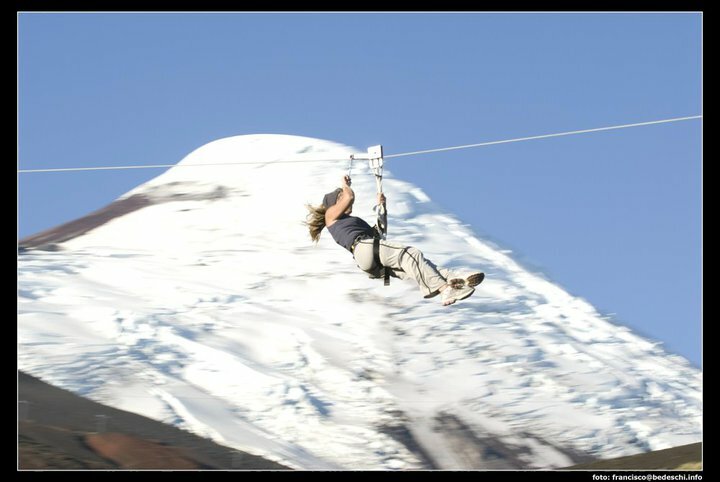 The sport adventure package can choose from any one of our 30 some odd adventures priced under $150 – there may be an extra charge for soem of the more expensive adventures such as climbing the Osorno Volcano. 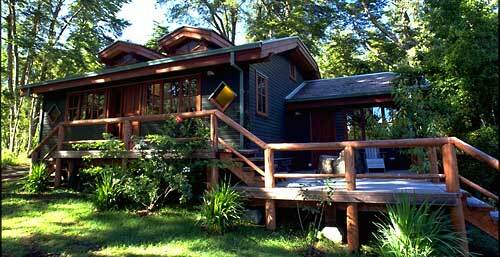 Prices Include: Ground Transfers between the lodge and Puerto Montt, luxury lodging in a Bungalow suite, full meal package with unlimited choice from our Latitude 42 menu and a half bottle of our Latitude 42 wine each night, guided activity each day, use of all amenities of Yan Kee Way (including spa), all taxes and licenses. 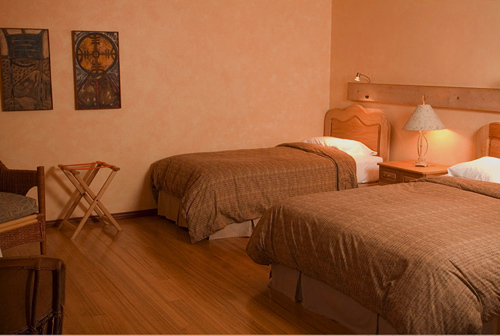 Prices do not include: Alcoholic beverages( other than the wine included with dinner), tips, telephone calls, laundry service. * Yan Kee Way opens Early! Please take a look at the photo and video galleries related to Yan Kee Way Lodge. 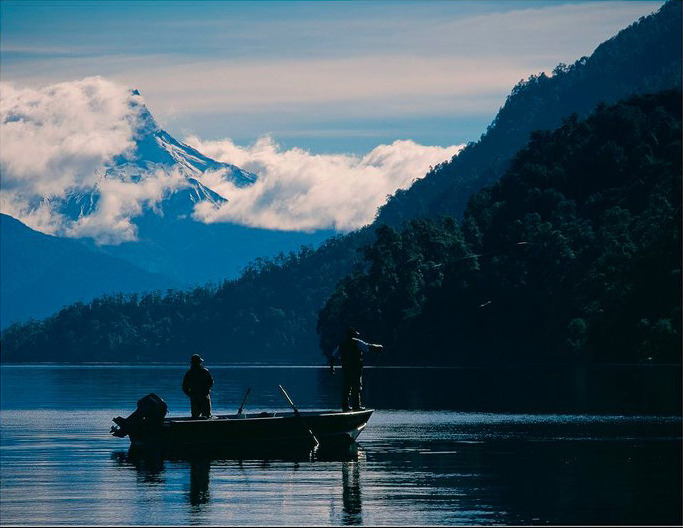 If your spouse chooses not to fish but would enjoy traveling with you to see the Patagonia and enjoy these activities while you’re fishing, that’s fine too. We have something for everyone! 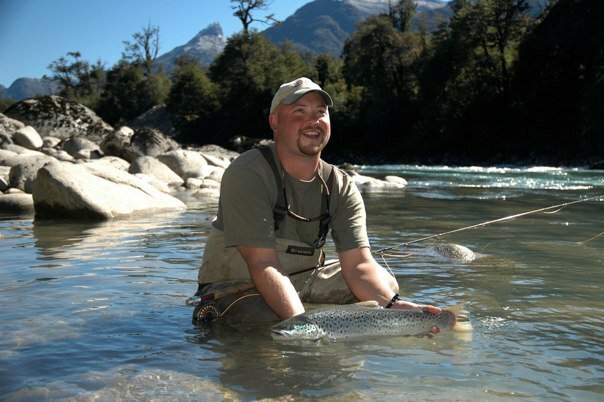 Some of our guests make their trip to Patagonia a combination trip–fly-fishing, sport adventure and cultural enrichment. 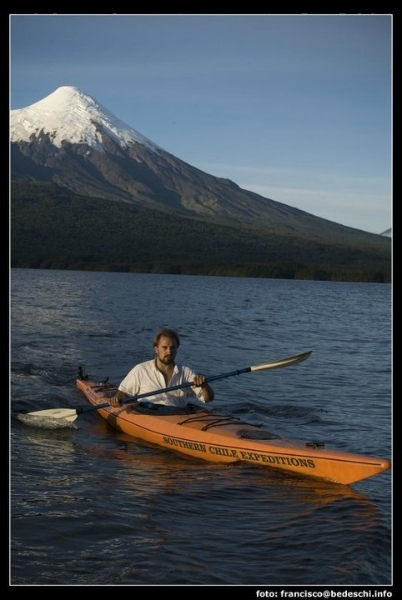 Frankly, it’s a shame to travel all the way to South America and not experience some of these adventures. 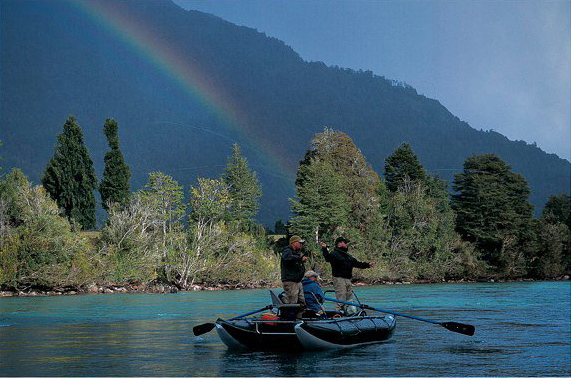 It is tempting to fish every day but there is so much more here in Patagonia. Most people who are not fly fishing enthusiasts take advantage of our sport adventure packages: Below you’ll find a listing of the expeditions. 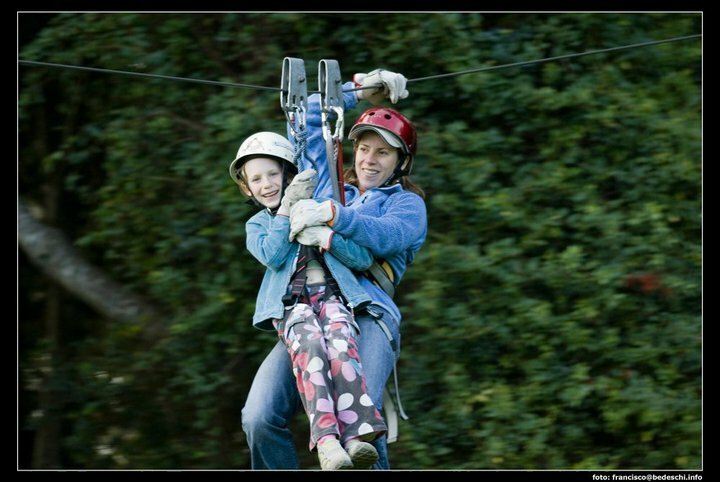 If you decide to use our sport adventure package then you can choose from any of these activities each day at no extra charge. 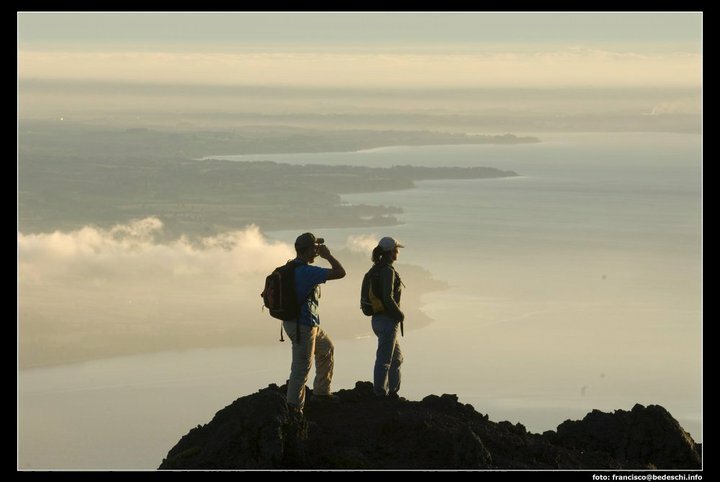 Each day you can enjoy one of these adventures without any extra charges . 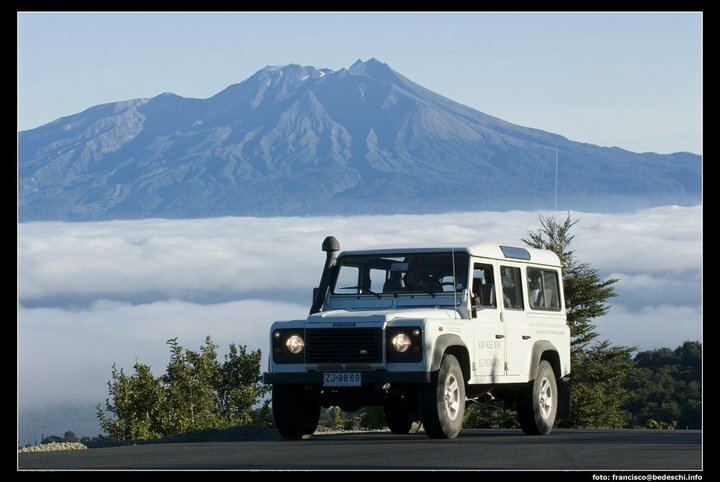 The adventures all include a professional guide, picnic lunch, and complete equipment, (other than that specified to be provided by the guest) for all excursions, accident insurance and all related transport. 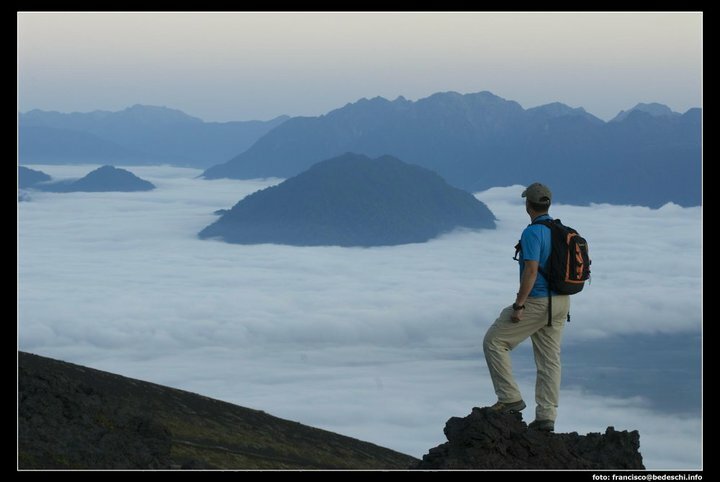 SOUTHERN CHILE EXPEDITIONS, S.A. (SCE) reserves, at its sole discretion, the right to alter, amend and/or change the schedules and itineraries of any part of any one or of all of the above described activities and programs. Any such changes, should they be made , may be made as a consequence of climatic or environmental conditions and/or when such changes are deemed necessary to the well being and/or to the security of any person in the group and/or of the group in its entirety and/or matters which may concern the company and/or companies with whom SCE offers its services. 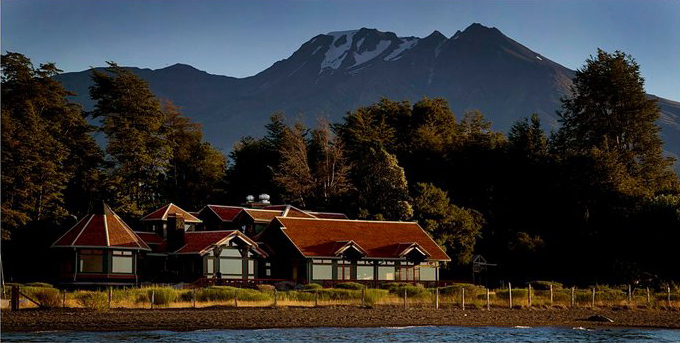 This lodge is known primarily for fishing but we booked it as a break in an otherwise active vacation, not knowing that we’d be just as active here as we were elsewhere on this trip. First, we’re not into fishing and never even considered doing any fishing while we were there, but there is so much offered that can be arranged for you. 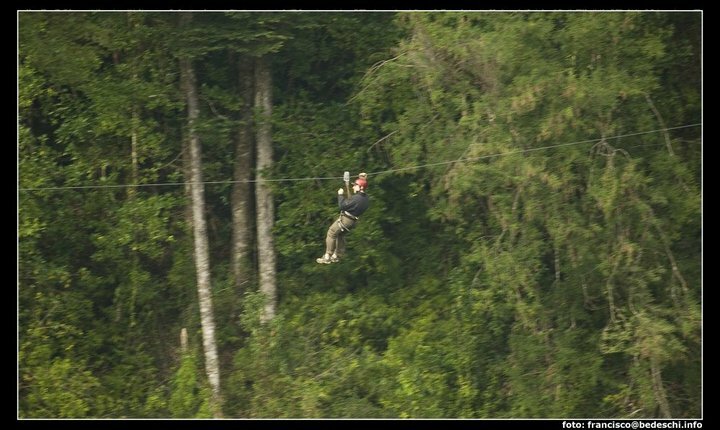 We did a zip line excursion which is very, very much worth the money. I don’t like heights and didn’t think I would enjoy it but it was a tremendous adventure. 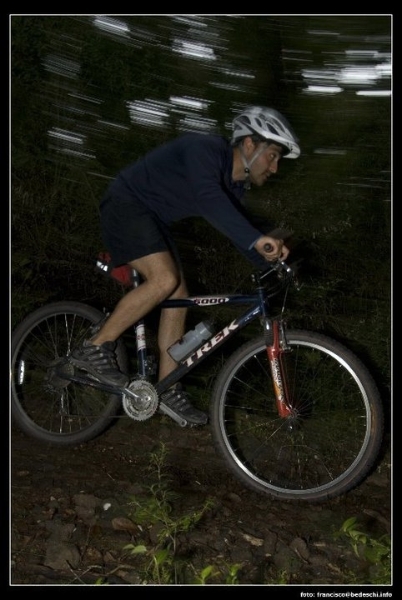 The guides are very careful to keep you safe at all times. We also did a hike around part of the base of the volcano, which was very interesting. Lots of great scenery. The guide from the hotel for our activities was Ricardo and I can’t say enough good things about him. 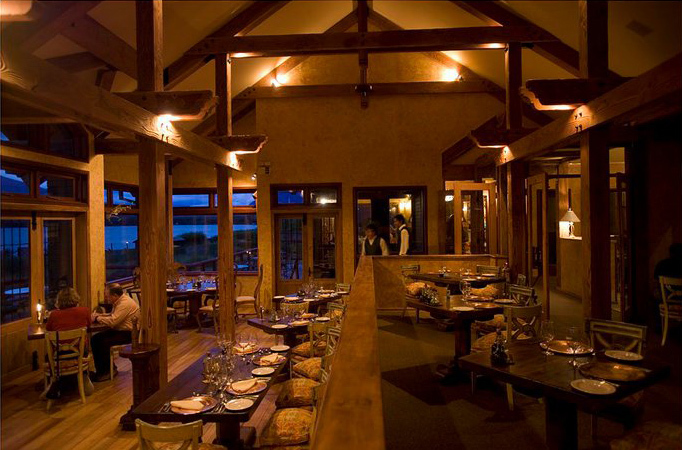 The restaurant at the Lodge is excellent: the service, the food, and the wine. Our accommodations were very comfortable, sort of a duplex arrangement with us occupying half of a bungalow. 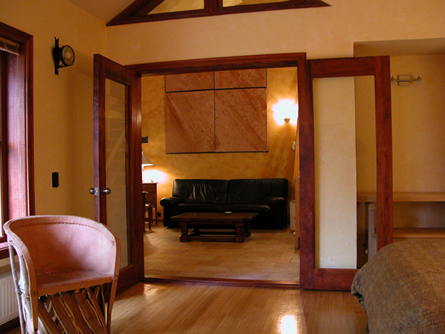 Our accommodation included a large bedroom, a good sized den/living room, a storage room, a sleeping loft, and a bathroom. 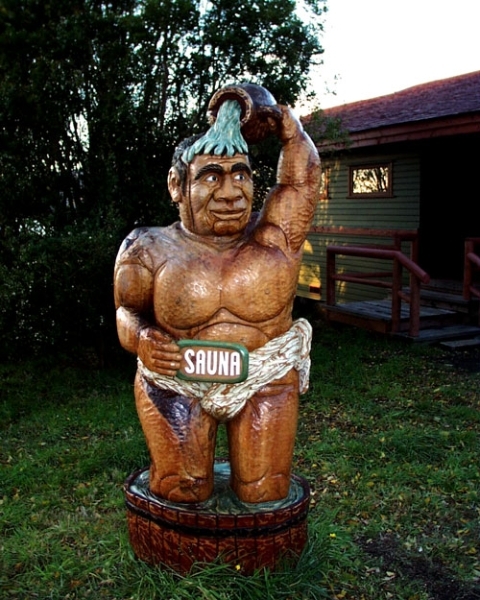 One of the few complaints that I would have with the Lodge (and this is a minor one) is that the thermostat for our bungalow was kept locked and therefore can’t be adjusted without asking the front desk to take care of it. Sort of an odd way to pinch pennies at a luxury resort. 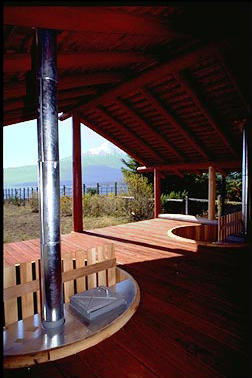 The grounds of the Lodge are very nice with a great view of a snow covered volcano. 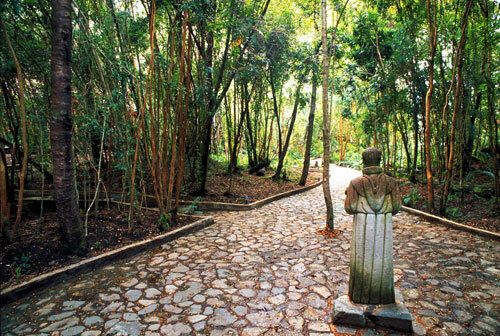 Art is located throughout the grounds, some whimsical and others more serious. We were there in March and the weather was perfect but the locals assured us that we were very lucky as it is normally raining that time of year. There were very few guests, I guess due to the time of year. If you’re going be sure to check their website for activities other than fishing as they have a great list of things to do. We wished we had more time there to do some of the other things. 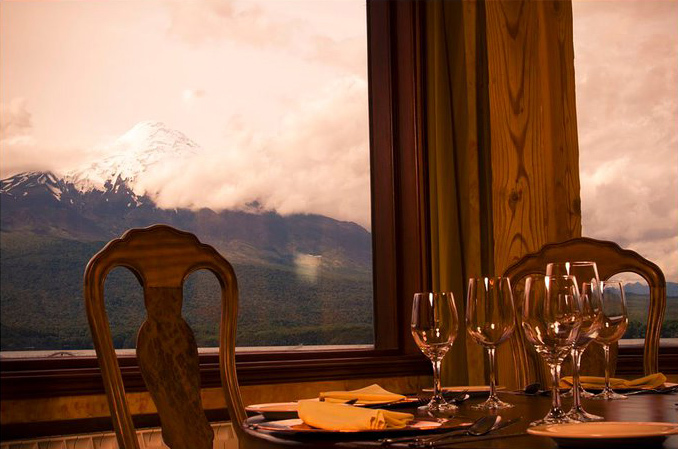 Guests fly to Santiago, Chile and typically overnight there to relax and spend a day touring the city and its nightlife. 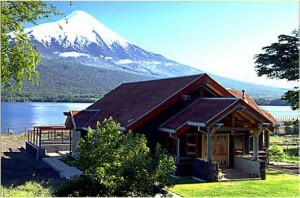 The Lodge can then be accessed fromSantiago via commercial airline to the local airport of Puerto Montt. 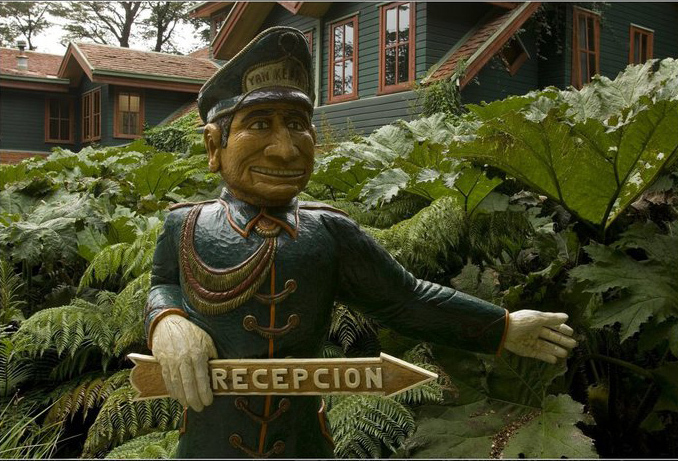 From Puerto Montt you will be transferred to the lodge, by a lodge representative, via a 45 minute hour van transfer. 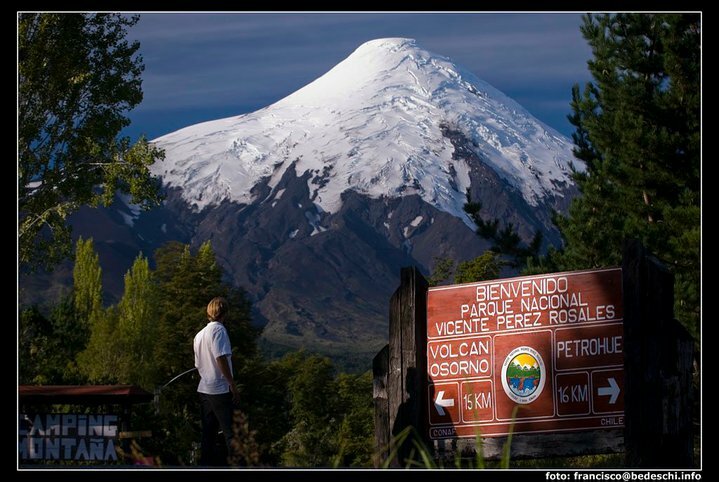 You will need a valid passport to travel to Chile. No visa is required for U.K or U.S.A citizens, other nationalities should check with their local consulate.